The sleeping bag carrier is of olive drab cotton webbing. 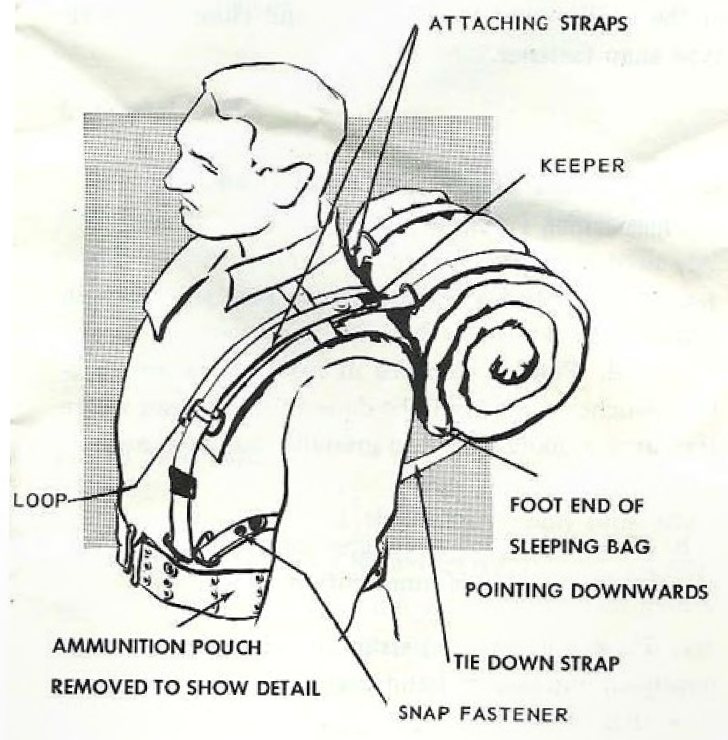 Two securing straps, with buckles, are provided to attach the sleeping bag to the carrier. Two attaching straps, with "lift-the-dot" fasteners, and two tie down straps, with glove-type fasteners, are provided for attaching the carrier to the suspenders. The carrier also has a handle so that it can be carried by hand.